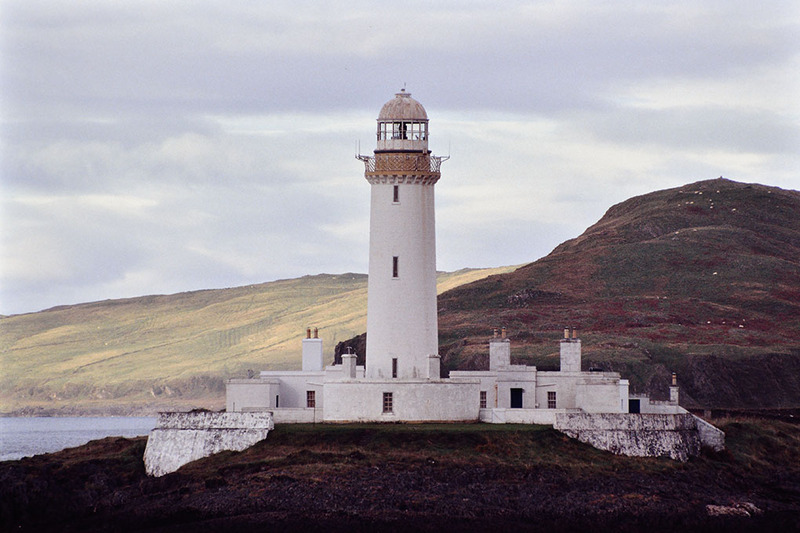 A white beautiful lighthouse to see by ferries from Oban to Craignure, Isle of Mull. The lighthouse at the south west end of Lismore Islands is built on a islet called Eilean Msdile. It was built in 1833 by Robert Stevenson. It would be very useful in the intricate and narrow channel of Inner Hebrides. It played a very important role during World War II, and it was said that the staff rescued the pilot who fell into the drink. The lighthouse was become unmanned in 1965, and it is a landmark of the ship to navigate there days. The skerry of Lady’s Rock, which the lord of Duart Castle was going to murder his wife in 1527, lies a short distance to the south west. The weather improved in the evening on the last day of the stay in Scotland. My power of the rain bringer was very strong during the tour. Before returning to B&B, I stopped by the McCaig's Tower near the B&B. McCaig's Tower is good viewpoint, look over around a port and a train station. I think the best viewpoint from the east side of the town. 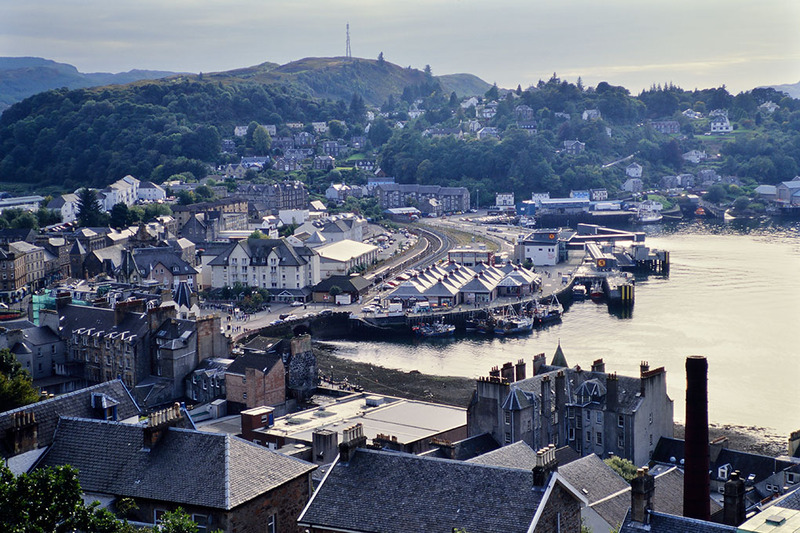 I came here when I stayed in Oban last time. By the way, I will be in London tomorrow evening. I had only the last plan in Scotland to eat a dinner tonight. Tobermory was founded in 1788 by British Fisheries Society. 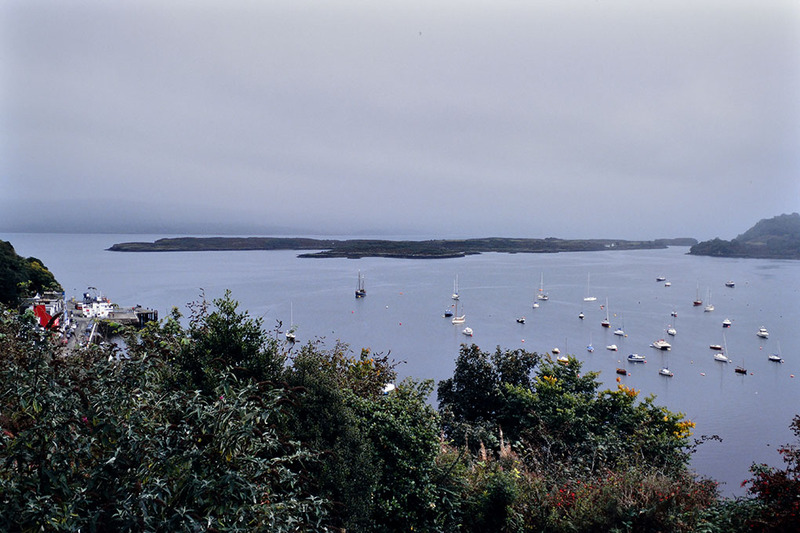 However, Tbermory Bay is a superb natural harbour, so it would be used as a anchorage of the ship before founded. A Spanish galleon ,which was a member of Spanish Armada and laden with gold, sank in Tobermory Bay by fire when Spanish Armada was defeated in 1588. It was investigated, but have not found. Treasure would lie somewhere at the bottom of Tobermory Bay? The ferry departed from Port Lochranza on time at 15:40. My first visit in Isle of Arran was just 100 minutes stay. I was able to stay more in Isle of Arran if the bus was not delayed. But I thought the plan staying at Campbeltown and visiting Isle of Arran might have been difficult. Should I have stayed at Isle of Arran overnight, or should I have come from Glasgow before going to Campbeltown? 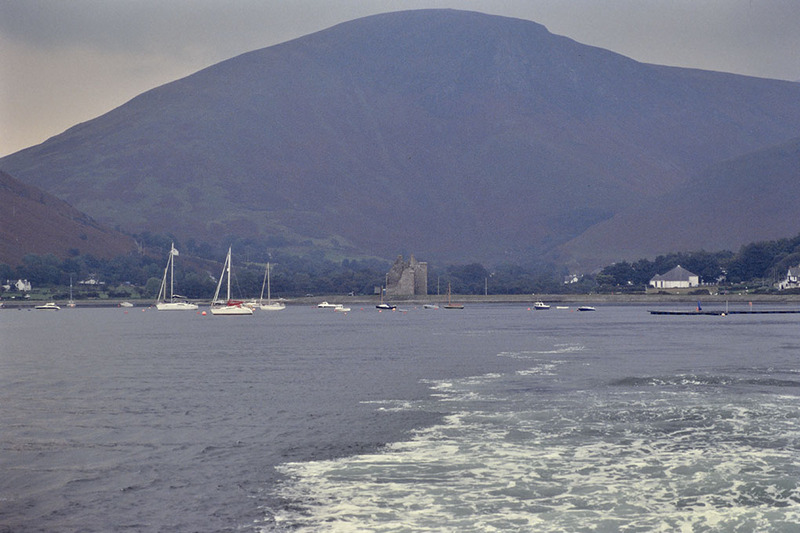 The ferry was navigated smoothly and Lochranza Castle was gradually become small. Glen Nevis Distillery was second newest distillery in Campbeltown, it was built along Glebe Street in 1877. The founder was Duncan MacCallum who led whisky industry of Campbeltown. The distillery was modern and produced efficiently, it had much modern equipments for the era. Glen Nevis Distillery was bought by Scotch Whisky Distillers Ltd in 1887 and bought back by Duncan MacCallum after Scotch Whisky Distillers went bankrupt in 1889. However, The distillery was bought by Stewart Galbraith, who owned Scotia Distillery(later Glen Scotia). After that, it was bought by West Highland Malt Distillers and closed in 1923, like so many other distilleries in Campbeltwn. Duncan MacCallum committed mysterious suicide in December 1930 at Crosshill Loch, where many distilleries in Campbeltown used as a water source. Glen Nevis Distillery was bought by a new company in 1936 with Ardlussa Distillery, which was next to Glen Nevis. Warehouses were converted to a blending and bottling plant. 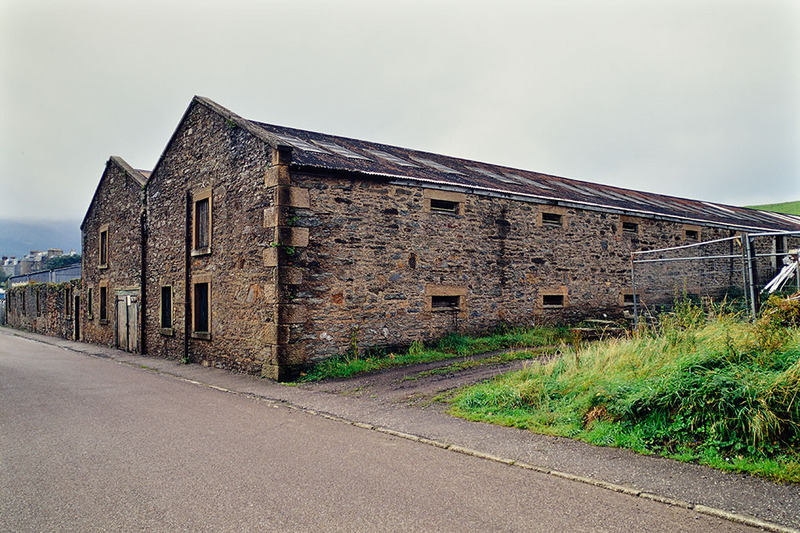 Today, the distillery site (including Ardlussa) is a yard of construction company and a part of the warehouses are remained.